Jesus Christ prophesied that false messiahs would come in His name. In our previous lesson we looked at some people who have claimed to be Jesus Christ, but were actually false messiahs. 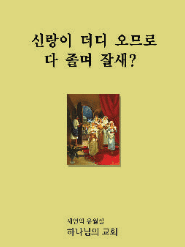 In this lesson we will examine whether a man named Ahn Sahng-Hong was Jesus Christ, or a false messiah. If these things did not happen, then we can know someone was a false messiah. Therefore, Ahn Sahng-Hong was not Jesus Christ, but a false messiah like the ones Jesus Christ warned us about. What did Ahn Sahng-Hong Claim? Interestingly, Ahn Sahng-Hong stated his ardent belief in the return of Jesus Christ in His own writings, yet the author has never seen a claim of divinity by him. I am on a quest for the Truth as I have recently become a member of the WMSCOG but am starting to question the belief that Christ Ahnsahnghong is God. Do you mind listing every place in the scriptures it talks about How to Recognize 2nd Coming. I would like to discuss it privately to the lady who introduced me to her church. She believes it with all her heart which is why I even talked to her in the first place, but if these things are true, then I have no option but to leave and inform certain members that they are on the wrong path. Anonymous, right above your post here, listed as number 3 under “Related Posts” will give you all kinds of information that you asked for. 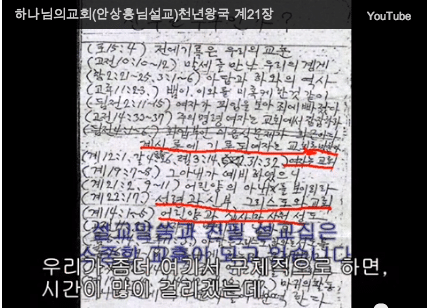 Honestly, just knowing that they are saying God is a Korean woman walking around now as we speak in Korea is God should be enough to make you RUN not walk away from this “church.” As you said, you really do have no option but to leave and inform the members they are mistaken to believe these teachings. But don’t expect them to actually hear what you are saying. They are under mind control, and they are not going to want to hear that they have been wasting their time. See the truth for yourselves people’s believe it or not but you have to figure all these in the bible of old & New Testament it’s alright not to believe of what you see & heard in reality but your heart & mind decides & only time can tell come to Zion.